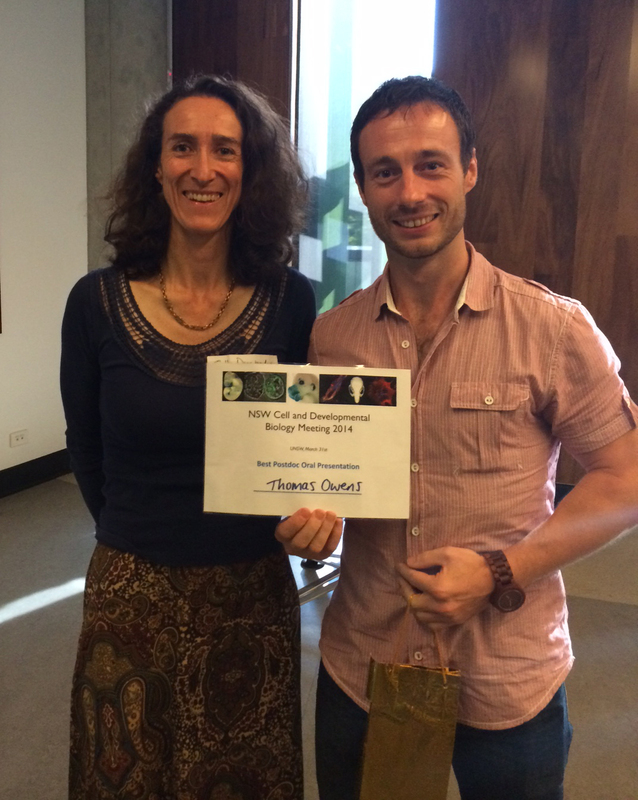 The Australia and New Zealand Society for cell and developmental biology (ANZSCDB) supports several local state meetings held each year for members of the society to come together to present their work. The emphasis is on giving early career researchers a chance to present their research, to meet with group heads and for everyone to develop a greater appreciation for the diversity for science carried out in the disciplines of developmental and cell biology. 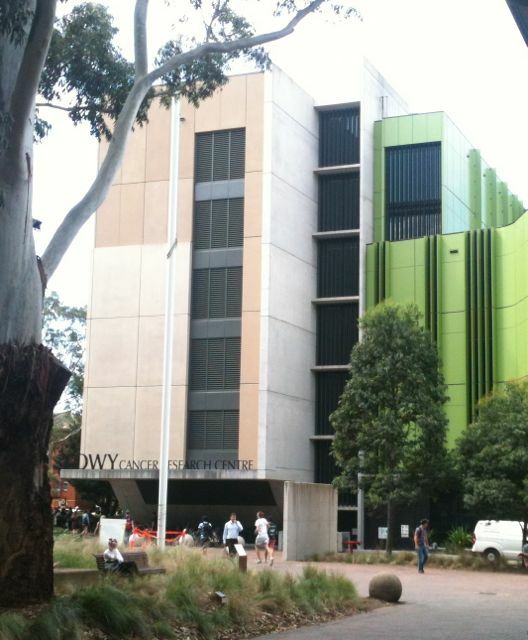 I was delighted to be invited as one of the 3 plenary speakers for this years New South Wales (NSW) state meeting held on the 31st of March at the Lowy Cancer Centre, University of NSW, Sydney. This years meeting attracted over 150 registrants, the largest number of participants for a state meeting in NSW. The meeting started with an exciting plenary talk by Prof. Freddy Radtke (EPFL, Switzerland) on the role of Notch as a lineage specifier, stem cell gatekeeper and additionally how Notch functions in cancer. He presented data on the function of the Notch pathway in pigmented tissues such as the skin/melanocytes and eye. Notch is required for controlling cell fate during cornea wound healing, in the absence of Notch signaling the corneal epithelium adopts a more skin like cell fate during repair (cue some hairy eye ball pictures!). Persistent inflammation in the absence of Notch appears to be partly responsible for this response, which leads to blindness in mice. The second plenary speaker Denise Montell (from UCSB) spoke about her work on Drosophila oogenesis to study collective cell migration and included many beautiful images and movies (check them out on her laboratories website – https://labs.mcdb.ucsb.edu/montell/denise/videos). Her group found that the border cells required E-cadherin for collective directional migration through the nurse cell cluster to arrive near the anterior pole of the oocyte. This is surprising as E-cadherin down regulation is considered a main requirement for epithelial to mesenchyme transition and subsequent cell migration in many other systems. Dr Guy Barry (Post-doc at Garvan Institute) spoke about identifying non-coding RNA upregulated during neurogenesis using a human iPS-derived neuronal cell culture model. PhD student Pei Yan Lui (UNSW,CCIA) is researching the role of a long ncRNA associated with the MYCN oncogene that is also expressed in neuroblastoma tissue along with MYCN. High levels of this ncRNA also correlate with poor survival in an animal model. Omesha Perena (PhD student from CMRI, University of Sydney) in investigating the mechanisms between hTert activation and replicative immortality, one of the hallmarks of a cancer cell. Dr Sophie Pageon a post-doctoral researcher at the UNSW described her research using new imaging methods to track the spatial organization and dynamics of cell receptors at the immune synapse. Helen Bellchamber (PhD student at ANU) is studying the impact post-translational modification (sumoylation) has on the function of the Zic5 transcription factor. Cesar Canales (PhD student from UNSW) is studying GTF21RD1 a novel transcription factor associated with Williams-Beuren Syndrome. He is characterizing the phenotype of the mouse mutant for this factor, which has a very similar facial syndrome including overgrowth of epidermal tissues of the face (including the lips). Dr Hongjun Shi (VCCRI) presented his work studying the effect of hypoxia on the developing embryonic heart, nice work to understand how environment and genetics influences susceptibility to developmental disease in this case, congenital heart disease. They have found short-term hypoxia exposure resulted in an increase in embryos with outflow tract heart defects and he is currently investigating the molecular mechanisms underlying the interaction between hypoxia and heart development. Dr Wendy van Zuijlen (UNSW) is studying how cytomeglalovirus (CMV) can easily pass through the placenta to the infant since around 2000 infants are born each year with CMV infections and this virus can also cause developmental defects. Two prizes were offered for best speakers. The Post-doctoral speaker prize went to Dr Tomas Owens (Post-doc at University of Sydney working with Dr Matthew Naylor). He spoke about the role of Runx2 as a cell fate regulator during mammary gland development. Knockout of Runx2 specifically in developing mammary tissue resulted in a delay in mammary gland development during pregnancy. Additionally, he has also been investigating the role of high RUNX2 levels in basal-like breast cancers by using mouse models of breast cancer. 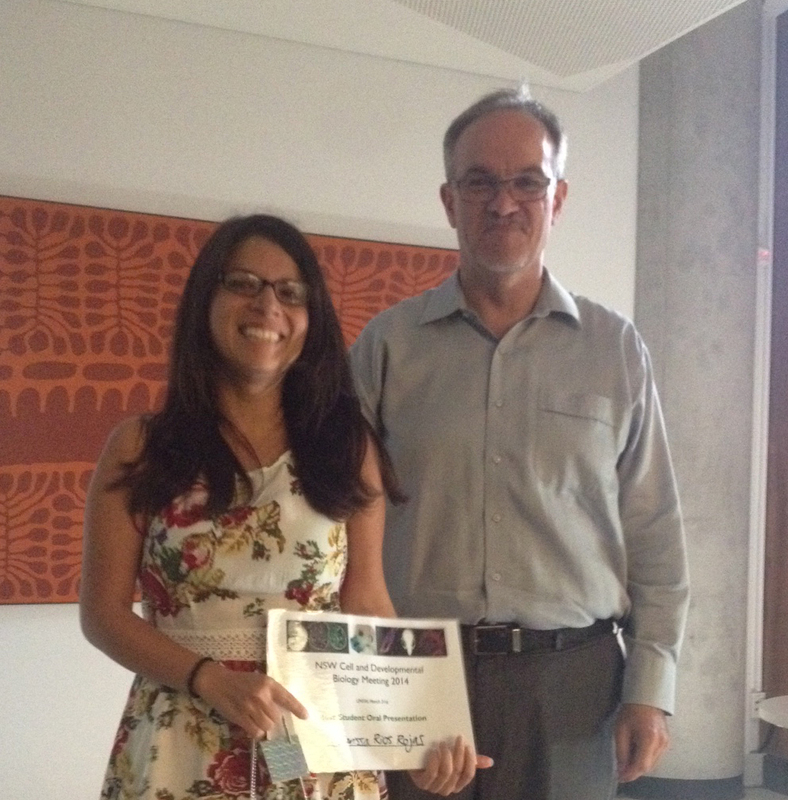 The PhD speaker prize was awarded to Clarissa Rios (PhD student with Peter Koopman, UQ Brisbane). To determine the consequences of germ cell loss on gonad development, she has been using OPT 3D to model testicular cord formation in the presence or absence of germ cells. Clarissa is also looking at how the absence of germ cells effects the number and specification of cell types in the developing testis. With over 70 posters to visit, deciding on the poster prizes were a hard call for the judges. The best poster from a Post-doc went to Dr Gonzalo del Monte Nieto (VCCRI) for his work on heart chamber development and the role of biomechanical forces and the extracellular matrix. 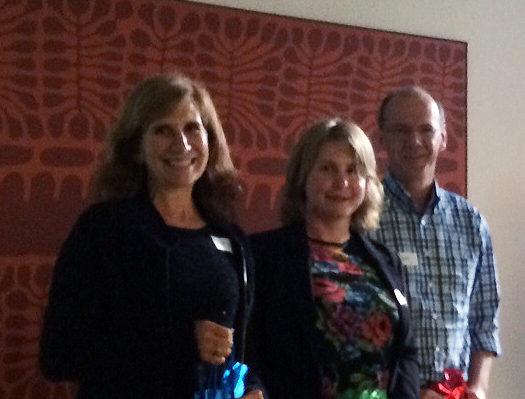 Anne-Marie Mooney (University of Sydney) was the PhD poster winner for her poster on CBFbeta transcriptional co-activator factors in mammary gland development, function and its role in carcinogenesis and metastasis. My plenary completed the meeting with a bit of EvoDevo (evolution and development) work on the evolution of developmental pathways (using honeybee and sea squirt models) and the evolution of whole body regeneration in a chordate model. 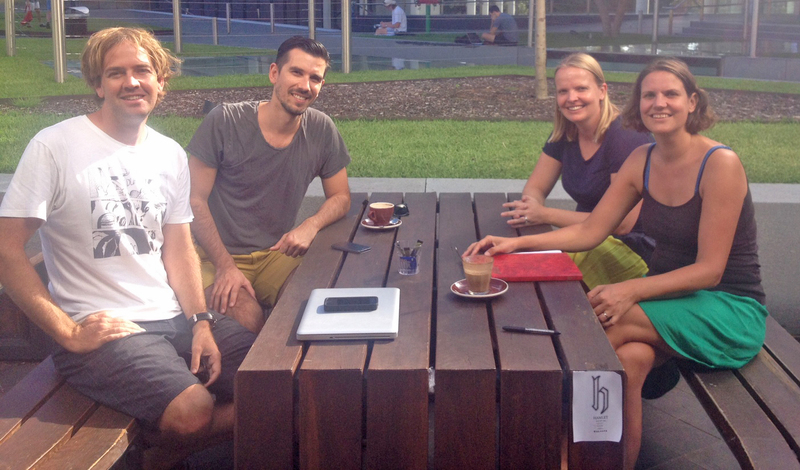 I would like to thank NSW scientists Annemiek Beverdam (UNSW), Matt Naylor (USyd/Bosch), Caroline Ford (UNSW), Nicolas Fossat (CMRI) and Will Hughes (Garven) for their hard work at putting together a fantastic meeting.